The End of Breaking Bad: ” Take Me Home and I’ll do the Rest “. It’s over. 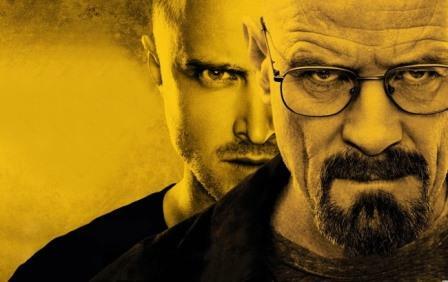 Breaking Bad has put an end to five successful seasons with Felina , a chapter in which Walter White has left all bound and tied and also closes an era in recent television history . ” Fe ” (iron ) . ” Li” ( Li ) . “Na ” ( Sodium) . Three elements to compose a masterful season finale with three events in which Walter White will slip in three houses to settle old scores , say goodbye to your family and be as announced , his revenge . The sixteenth chapter of the fifth season starts with the gaunt Mr. White trying to get hold of a car in New Hampshire. It is the most wanted man in the United States and the desperate call he made a few hours ago , when I thought like a lamb delivered after sending alms to his family , does not help in his latest plan. ” Just take me home and I ‘ll do the rest ” , loudly imploring Mr. White as a police car parked nearby. Someone seems to have heard and the patrol starts and moves on. The keys, as often happens in these cases , were in the hood . Heisenberg road again . Anything is possible. The image of the altruistic Gretchen and Elliott on television was what made him rise and leave it would be his last drink at the bar Dimple . Battered and torn cancer that now I know you can with him , Heinseberg is determined to seize the last throes of life of Mr. White to complete , as best you can , your great work. And they , Gretchen and Elliott , are the first piece of the puzzle . Within the luxurious home of their old companions , the master of improvised farce again a near-perfect scenery and the great help of two unexpected sidekicks claimed his first victory. This was the easy part. It is the worst. And that is the hardest thing for Mr. White will not stop those who destroyed his empire and kept their money, but say goodbye to your family and CONFESS (yes , in capital letters ) . In his farewell , Walter watch Skyler face to face and , at last, recognized that it was all for him, and proud that the powerful capo could with the devoted father . He could not stop , would not stop. After sneaking into the den to which their crimes were sentenced to his family , and look for the last time, leaving behind two sons Walter White what little was left of it , Heinseberg continues his path of revenge and redemption. At last revenge of Walter is preceded by a crafty play- not the best of his repertoire, it must be said , that will also give opportunity to vent that takes years ricin plug hiding behind his bedroom. A new lesson and the same in the box of Mr. White. Everything comes out more or less as expected , and his last appointment with the bad (real ones , those who have to die or yes ) only have to take a handful of value , a little drama , a dash of craftiness top it all off with a gadget lethal and … ready . They have taken the bait and the third raid Walter is settled with a real butcher and expected face to face with Jesse served on a silver platter . WHO DESERVES TO KILL Heisenberg ? It’s not the first time that Walter puts his hand on kitchen boy a gun to her doors, window panes , but this time there is one big difference: He wants to squeeze the trigger. Jesse , who just seconds before take its share of the pie of vendetta , kill it deserves . And Heisenberg knows. Who better than the man whose girlfriend left to die ? Who better than the guy who ordered the killing ? Who better than your favorite puppet ? Who better than Pinkman ? But Jesse , Jesse the good , not pull the trigger. He always hated stain your hands and the blood soaked shirt Professor White gives you the certainty that will have what you want without your help. Thank you very much Jesse , your neat rematch allows us to give away Vince Gilligan Walter White deserved death . Thus, and while playing Baby Blue by British rock band Badfinger , the dying Mr. White re-enter a meth lab . The cook returns to the kitchen. And there, among specimens and tanks where born Heisenberg , Walter White dies . I never got caught. You will not cough. It’s over.